You knew you would be making a sacrifice when you enlisted in the Army, Navy, Air Force, or Marines, but you were proud to do it. Giving up being with your family on special occasions, living where you choose, making long-term plans, and any guarantee of safety were sacrifices you were aware of and were willing to make. However, you did not think you would have to give up access to safe, habitable housing, and that’s exactly the situation you are finding yourself in. You may have been told there is nothing you can do about it, but that is simply untrue. Learn more about the problem and what can be done to fix it here. While it probably comes as no surprise to military families, recent investigative reports by Reuters have documented the growing problem of unsanitary and dangerous conditions in military base housing run by private companies. Companies like Lincoln Military Housing (LHM) have been managing housing on dozens of military bases across the country since Congress passed legislation in 1996 authorizing branches of the military to form partnerships with private companies to take over base housing operations. In an effort to address the problem of widespread disrepair in base housing, the problem may have actually been made worse. What Are Some Problems Found In Military Housing? The sale of lead-based paint was banned in 1978, but many older homes still have it. Ingesting lead paint can cause permanent brain damage in children. A Reuters investigation uncovered exposed lead paint in base housing run by private companies at Fort Benning, West Point, and Fort Knox, and children living at Fort Polk, Fort Riley, Fort Hood, and Fort Bliss have been found to have high levels of lead in their blood. While pest control is the landlord’s responsibility, families at Camp Pendleton have struggled for years to get mice infestations under control. Servicemembers on six other bases across the country also reported mice problems to Reuters, including Fort Belvoir in Virginia, where a military spouse found a mouse in her baby’s bassinet. Humans can catch three dozen diseases from mice and rats. 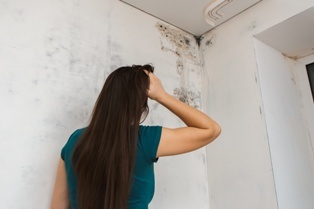 Mold can be caused by humid conditions and poor ventilation. If left untreated, mold in homes can cause severe respiratory problems in both children and adults living with it. An ongoing problem at Camp Pendleton, residents on other bases have also complained of dangerous mold blooms in their homes. It’s one thing to have these problems in older military housing. It’s another to deny the problem and to blame residents for creating the problem—something Lincoln Military Housing and other private companies have done to get out of addressing the issue. So What Can You Do About Deplorable Military Housing Conditions? Military families fighting deplorable housing conditions have found that they are in a bit of a trap. The military can’t do anything about the problem because the housing is privately owned. Local authorities, such as building and health inspectors, can’t do anything because the housing is on land owned by the federal government. The only recourse is to deal directly with the housing company, but if they refuse to help or blame you for the problem, where can you turn? The fact is, just because these landlords are military contractors does not mean they are not subject to state tenant laws, and every state has them. These laws protect tenants from landlords who fail to uphold their end of the lease. There are also federal laws that specifically protect servicemembers and their families from eviction. How can you exercise your right to protection under these laws? Call a lawyer who gets it. If you are fighting to make your military housing habitable, to get out of a lease without penalty, or to recover the money you spent to get your family into safe housing, you need a lawyer who gets what you’re going through. Call me, Mike Cardoza, to discuss your situation at 855.982.2400. I will help you understand your rights and guide you through your options for taking action.